If you like your meat served with a sprinkling of Mayfair luxe and the possibility of a star-studded sighting, then you're in luck, because Gridiron is coming to Old Park Lane. 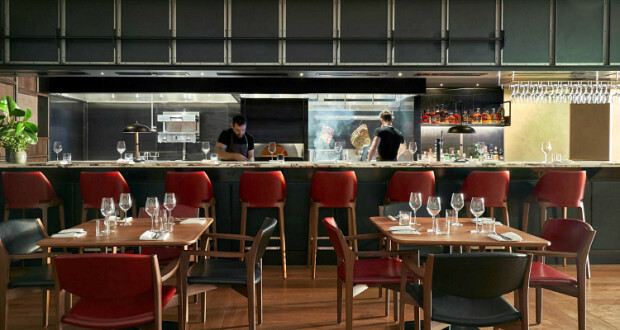 A collaboration between Hawksmoor's executive chef Richard Turner and COMO Metropolitan London, this live fire restaurant just might be the hottest place in London. Once home to celebrity hangout, Met Bar, the space at COMO is famous for attracting stars like The Spice Girls, Cher and Kate Moss. Heading up the kitchen is Colin McSherry, who has experience at The Ledbury, Clove Club and Nuala under his belt, while wine writer Fiona Beckett has overseen the bottle selection, with sommelier Lucy Ward, previously of Noble Rot, curating an ‘Under the Counter’ list. When it comes to cocktails, Max and Noel Venning of Three Sheets (aka the 29th best bar in the world) are bringing pandan Old Fashioneds and miso-infused White Russians to the table. Though we can't guarantee any celebs coming through the doors just yet, the A-list names involved should be enough to pique your interest.